The Netherlands offers an astounding array of activities for kids and their parents to experience on a summer family vacation. While most visitors to Holland stick to its capital city of Amsterdam, there’s ever so much more to explore in this family focused country. 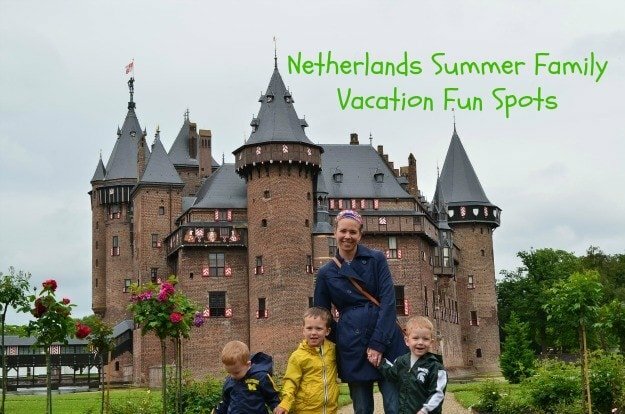 As American expats living in the Netherlands, this summer my family has visited zoos, castles, beaches, theme parks and more…with so much still left on our bucket list! Here are seven Netherlands summer attractions for families. With kid-friendly tours, garden grounds, and courtyard cafes—the largest castle in the Netherlands will surprise you. Our favorite part of the refurbished Kasteel de Haar was the castle’s lovely moat and drawbridge. Stairs are plentiful and hallways are narrow so if you’re traveling with little ones, ditch the stroller and use a baby carrier or encourage toddlers to walk instead. I was not prepared for Rotterdam Zoo‘s massive size. It’s a good thing they have a tram that takes you from end to end! My family of five spent several hours exploring this zoo and could easily have stayed another day. My three young boys’ favorites included the brand new Amazonica butterfly house (complete with a piranha pond) and Oceanium aquarium. I highly recommend the cafe ‘Terraszaal’ children’s meal: for under 7 euros kids get an entire lunch, ice cream and reusable travel lunch bag. I was also pleased to find the restaurant’s huge playground on the terrace and a baby changing bathroom. In the summer, the Dutch populace celebrates warm weather with a trip to one of the country’s many beaches. The sand on Domburg Beach was exactly what my toes were craving. The beach was immaculately clean and didn’t fill up with too many other beachgoers until we left late in the afternoon. You’ll find restaurants along the beach, a hotel and the charming little sea-side village of Domberg. Get there early to find a parking space in one of the public lots. The water is a little chilly but refreshing on a hot summer day. The city of Delft should be on any visitor’s must-see list. Here you can take a narrated canal ride, dine at an outside cafe, go for a family bicycle ride, and top your tour off with scoops of creamy ice cream. We took a day trip to this Dutch town with my sister when she came to visit us this summer. My children loved the petting zoo and playgrounds. My sister and I took advantage of the traditional open air market and purchased all of the traditional Delft blue and white porcelain we could carry. Considered the Disney of the Netherlands, the The Efteling amusement park boasts all kind of enchanted wonders for children. Opened in 1952, this fairytale-themed park offers a giant hedge maze, sweet rides for little ones, thrill rides for bigger kids and adults, and the largest water show in Europe. If your kids are into dinosaurs, De Groene Poort (The Green Door) is indeed a good time. Even before you go in, kids will go gaga for the life-sized dinos at the park’s entrance. An interactive museum resplendent with fossils of all kinds, animated life-size dinosaurs, and a giant sperm whale skeleton hanging from the ceiling. 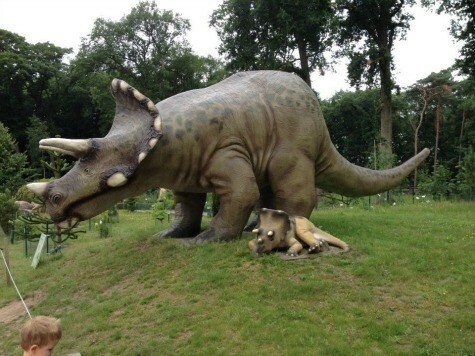 After wandering through the exhibits, head to the outside park filled with even more dinosaurs and a full playground. Beekse Bergen Safari Park is so huge, it warrants more than one visit. 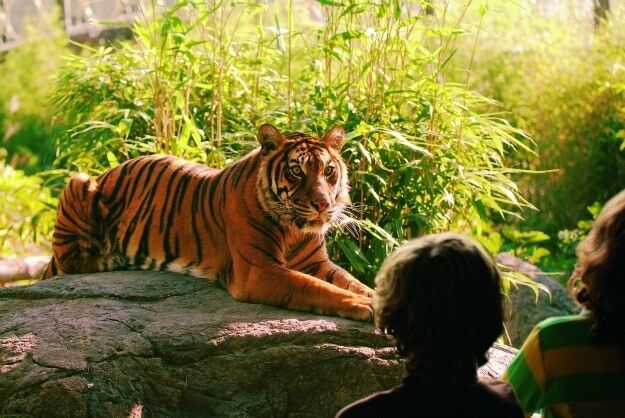 You can choose many ways to see the animals: a self-guided drive-through adventure, a narrated bus tour, exploring the park on foot, or even a personalized tour in a zebra-striped vehicle. Be prepared to spend a whole day. Remember to keep those windows rolled up; the giraffes like to get friendly! Which of these attractions appeals most to your family? 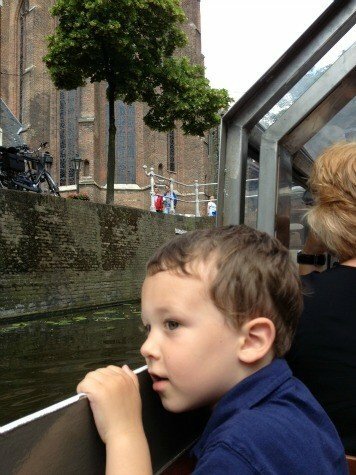 Is there another attraction in the Netherlands my family should be sure to add to our summer must-see list? Let us know in the comments below! A Note from The Nomadic Travel Mama: A special thank you to the Rotterdam Zoo for hosting us and giving us a personal tour of their magnificent zoo. All photos by Farrah Ritter except as noted. Looks like such an amazing place! I’d love to visit. It’s great! We love it here- there’s so much to do and see. I would love to travel to the Netherlands and visiting castles and canal boat rides both sound like great activities. We went on a canal tour in Copenhagen and I loved seeing the city from the canals! I’ve always thought that Delft porcelain was beautiful too – I wonder how much I could get home in my carry-on? 🙂 They’re happy to ship and will tell you so! I bought a tile and love it. I was told a tip though- when buying the good blue and white stuff, make sure it doesn’t say ‘Holland’ on it. I thought that was interesting- so tried to remember that. Thanks for the tips! For all the love I have of the NL and doing things with my kids, I haven’t been to any of the attractions you mentioned. I think our next trip has to be to the Zoo. 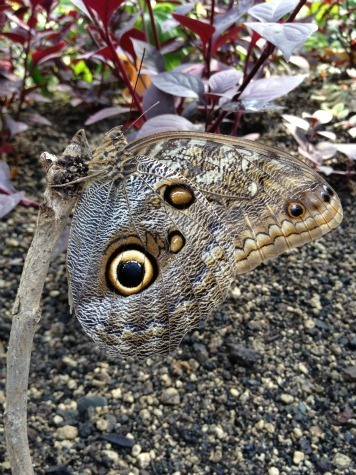 My kids love trams, animals, and that butterfly house sounds really, really cool. My son would go crazy in there. And I love a good lunch deal. Highly recommended! I couldn’t get over the size. They have attractions opening this fall as well- so we might need to plan a trip back come September. I believe it is a black rhino exhibit that will be opening. It was under construction while we were there. Zoo? Amusement park? Dinosaurs? I’m there people!!!! I spent a very brief afternoon there and I loved it. This makes me want to go back for more! I have quickly learned that although the NL might be a small country- there is so much to see it can easily take you a while. We’ve been here now over a year and there is still so much to do. What about Madurodam? It is a miniature city with 1:25 scale replicas of famous buildings in the Netherlands. It looks amazing.